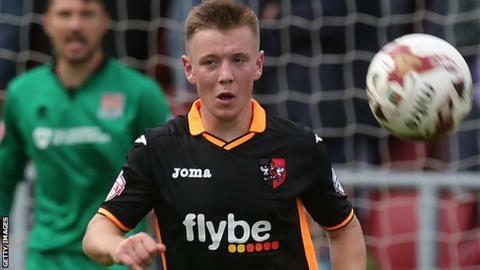 Teenage Exeter City strikers Matt Jay and Ollie Watkins have joined Conference South side Weston-super-Mare on month-long loan deals. The pair both signed professional deals this summer after coming through Exeter's youth ranks. Jay, 18, is yet to score a goal for the first team after two starts and three substitute appearances. Watkins, who is also 18, has made four appearances as a substitute for the Grecians, three of them this season. The pair's deal runs up to, and including, Weston's game with Sutton United on Sunday 4 January.